Having facial hair is a personal choice – for men. But women who have excessive fuzz or even the beginnings of a beard or moustache thanks to dark, wiry bristles are not as favorably looked upon as men who sport the same. Because facial hair is a product of androgens (male hormones, although they are present in both sexes in varying levels), it is closely associated with manliness. 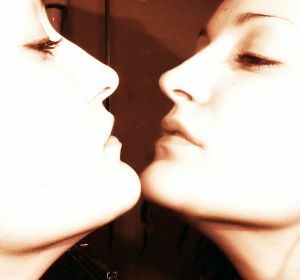 So women who exhibit this trait are considered to be less than feminine. In other words, this unsightly imbalance can lead to social stigma. Even though it is not uncommon for women to start seeing increased hair growth as they age and their hormone levels fluctuate, the situation isn’t one that the majority of women are content to live with. For this reason, many seek out methods of facial hair removal. But if you’re not keen to take hormone pills to correct your imbalance, and unnatural methods of hair removal, such as chemical-laden depilatory creams, don’t appeal to you, then you might be on the lookout for options that are less harmful to you and the environment. Here are a few you might want to consider. Unfortunately, the easiest method is also the one you probably want to avoid. Shaving is a common way for many women to attack the hair on their legs, arms, and bikini line, but it’s not such a great idea when it comes to your face. As you may have noticed from shaving other areas of your body, your hair appears to grow back thicker and darker when you shave. In fact, this has more to do with the fact that stubble stands out rather than lying flat, but it hardly matters. You don’t want to draw even more attention to your hair problem, so shaving is out. Plus, disposable razors aren’t exactly eco-friendly. You could always use the method that many women prefer for daily upkeep of their eyebrows, which is to say plucking. But while taking the tweezers to a handful of chin hairs is no big deal, a face covered in peach fuzz is another matter entirely. Plucking is a great way to remove hair since it pulls it out at the root, meaning it will take a lot longer to regrow than, say, shaving. But it is also a time consuming process that you can’t possibly continue to carry out successfully without sacrificing a good portion of your day. For this reason, your best option for removing unwanted facial hair may be to try a natural wax product, like those made with honey. Nad’s was the first product on the market to offer this solution for women seeking a wax that not only required no heating (since this could lead to burns), but also included natural products rather than potentially toxic chemical components. Since then, several companies have started to offer similar products. But you could also make your own natural wax using recipes online. Of course, you can always head to a website like Epilator Central to look at electronics that will pull your hair out at the roots, or you might look into more permanent solutions like laser hair removal treatments. But if you want to find a method that helps you do less harm to the planet in the process of keeping your face fuzz-free, then you might choose to forego manufactured products and make your own natural means of hair removal at home. 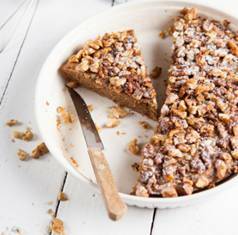 This gluten-free cake recipe from cibo verde is nutritious, delicious and packed with tasty super foods! In a mixing bowl, mix together flours and dry ingredients. Add eggs, oil, vanilla and orange juice. Then beat to combine. Stir in the carrots, coconut and dates by hand. Pour the batter into the backing pan and bake for about 25 to 35 minutes. Then enjoy! This unique crowd-pleasing cupcake recipe is sure to be a hit with everyone’s taste buds! 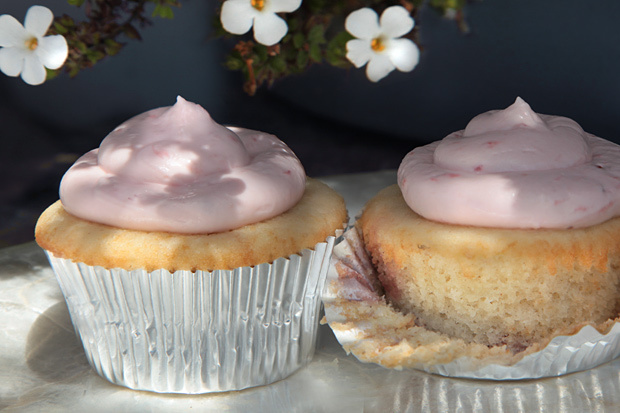 Perfect for a party or an intimate evening at home, these strawberry-filled cardamom cupcakes from CHOW.com will go fast! Heat the oven to 350°F and arrange a rack in the middle. Line 2 (12-well) muffin pans with paper cupcake liners; set aside. Place the flour, baking powder, cardamom, and salt in a medium bowl and whisk to aerate and break up any lumps; set aside. Place the butter in the bowl of a stand mixer fitted with a paddle attachment and beat on medium-high speed until light in color, about 3 minutes. Add the sugar and continue beating until the mixture is light in color and airy, about 3 minutes. Stop the mixer and scrape down the paddle and the sides of the bowl. On medium speed, add the egg whites 1 at a time, beating well after each addition. Next add the eggs 1 at a time, beating well after each addition. Scrape down the sides of the bowl. On low speed, slowly add the milk and vanilla and mix until combined (the mixture will look curdled). Add the reserved flour mixture and mix until just combined, about 15 seconds. Fill each muffin well about three-quarters full. Using a spoon, create a small indentation in the batter by slightly spreading it from the middle out toward the edges. Measure 1 heaping teaspoon of the strawberry sauce and place the back of the teaspoon inside the indentation. Rotate the spoon, letting the sauce slide into the indentation. Repeat in each well. Bake the cupcakes until a toothpick inserted in the center comes out clean, about 18 to 20 minutes. Set the pans on wire racks and let cool for 5 minutes. Remove the cupcakes from the pans and let cool completely on the wire racks before frosting. You will need to use paper cupcake liners, or the jam will stick to the inside of the muffin wells no matter how thoroughly you butter them! If your oven is too small to fit 2 (12-well) muffin pans side by side, you can arrange the racks in the upper and lower thirds of the oven. Bake as directed, rotating the pans between the racks halfway through the cooking time. You also may need to bake the cupcakes 1 or 2 minutes longer. A gluten-free diet doesn’t have to mean resorting to expensive, specialty gluten-free products. Build meals around naturally gluten-free foods for a healthy gluten-free diet fit for your whole family. • Start by filling half the plate with fruits and vegetables. 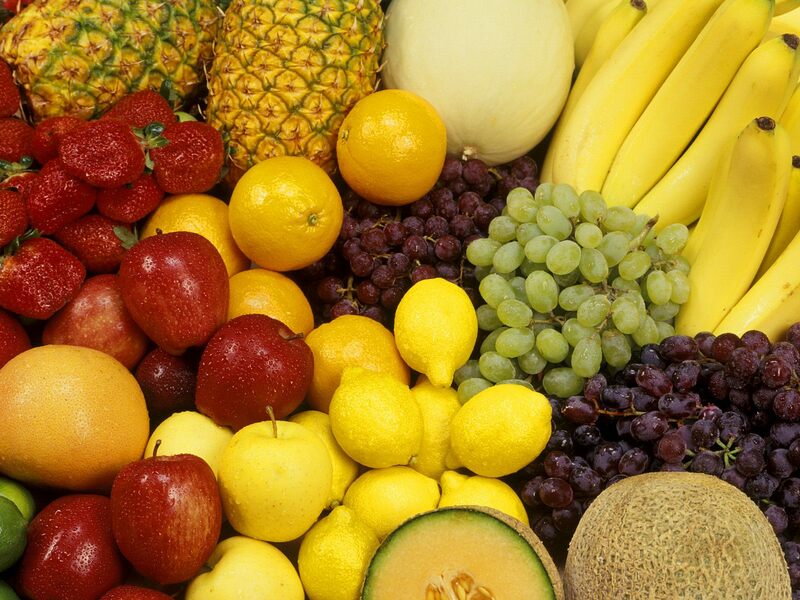 • Fresh fruits and vegetables are all naturally gluten-free. • Canned and frozen plain vegetables are gluten-free, but avoid those with sauces and breading. 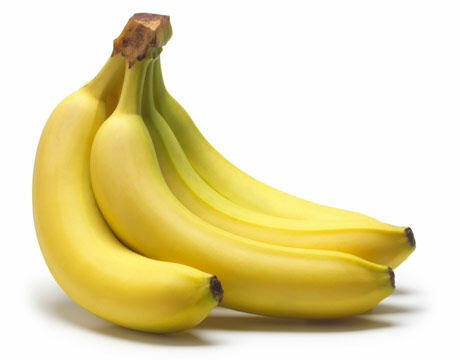 • Check labels of dried fruits, which may have added flour. • Fill one-quarter of the plate with lean meat and beans. • Choose fresh lean beef, pork, poultry, seafood, eggs, plain nuts, and dry and canned beans, which are all naturally gluten-free protein sources. • Read labels carefully when selecting self-basting poultry, cold cuts, processed meats, and hot dogs, which may contain gluten. • Fill one-quarter of the plate with whole grains. • There are many gluten-free options appropriate for the whole family, including corn tortillas, grits, cornmeal, brown rice, puffed rice cereal, oats, and gluten-free flours, such as almond meal and rice flour. • Fill in the gaps with gluten-free specialty products, including breads, crackers, cookies, baking mixes, cereal, and pasta. • Add a serving of low-fat dairy. • Choose low-fat milk, cheese, yogurt, and ice cream. • Avoid malted milk, and check the labels carefully on flavored milk and yogurt, cheese sauces and spreads – the additives in these products may contain gluten. Many of the meals your family already enjoys may be gluten-free, and most meals can become gluten-free with just a few simple substitutions. Does your family enjoy tacos regularly? Substitute corn tortillas in place of flour tortillas to make this meal gluten-free. Spaghetti night? Prepare homemade sauce and try spaghetti squash for a vitamin-packed pasta alternative. Lunchtime a problem? Make wraps using corn tortillas; sandwiches with rice cakes, cornbread, or gluten-free bread; or salads packed with vegetables, low-fat cheese, and rice or quinoa. The eMeals Gluten-Free meal plan makes it simple to prepare gluten-free dinners utilizing basic, easy-to-find ingredients. eMeals provides seven mainstream dinner recipes and a shopping list every week, making it easy to shop for and prepare flavorful meals the whole family will enjoy. Download a free sample plan and see how eMeals can help you simplify gluten-free meal planning. Want a healthier way to start your morning? Well, move over orange juice, and make way for Sambazon Superfood Juices! Made with the finest organic Amazon Superfoods™ on the planet such as Açaí, Acerola, and Yerba Mate, Sambazon’s smoothies and juices are available in ten unique varieties – all boasting an incredible nutritional punch! Packed with antioxidants and healthy omega 3-6-9s, all Sambazon Superfood juices are NON-GMO, USDA organic, vegan, gluten-free, and provide whole food nutrition. “Mom” tried the Açaí+Blueberry+Pomegranate juice, Supergreens with Kale + Ginger, and the Blended Breakfast flavors, and all were quite delicious! For those who are used to a more mild juice, such as apple juice, be prepared for the strong, intense flavor of the juices. • Açaí/Antioxidant: This Original Amazon superfood juice is bursting with powerful antioxidants and healthy omegas. It’s a delicious way to combat free radicals and comes in two flavors: Original or Açaí+Blueberry+Pomegranate. • Energy: This potent blend of Açaí berries, Yerba Mate, and Guarana delivers a whole food experience that boosts the body and mind the way nature intended. Energy is available in two flavors: A rich berry superfood juice blend with 50mg of organic caffeine per bottle, and a new Mocha Java superfood smoothie with 80mg of organic caffeine from fair trade coffee beans, plus a hint of chocolate. • Protein: These indulgent smoothies are packed with 10g of organic vegan whole food protein per bottle (which helps to build lean muscle) and healthy omegas to keep you full longer. It comes in three yummy flavors: Açaí berry + Vanilla; Açaí berry + Chocolate; Chocolate + Almond + Coconut milk. • Supergreens with Kale + Ginger: This is a potent blend of Açaí berries, a powerful new blend of six varieties, plus a hint of ginger. It delivers around two servings of whole fruits and veggies, without added sugar. • Blended Breakfast: This is the first beverage to combine whole fruit with ancient grains (like quinoa and amaranth), chia, and Organic/Non-GMO verified soymilk for a smoothie that sustains and nourishes. This delicious strawberry-banana blend is also a good source of fiber (7g per bottle). 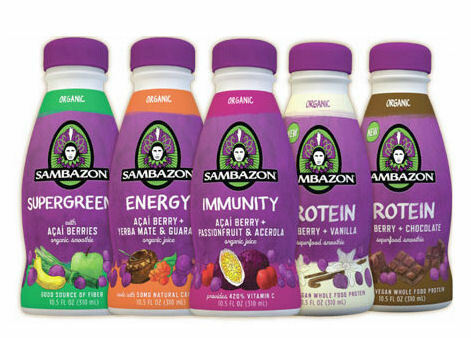 If you are interested in learning more about the benefits of adding superfoods to your daily diet, or to locate a store near you, please visit sambazon.com or visit their Facebook page at facebook.com/sambazon. Disclaimer: I received this product for free from the sponsor of the Moms Meet program, May Media Group LLC, who received it directly from the manufacturer. As a Moms Meet blogger, I agreed to use this product and post my opinion on my blog. My opinions do not necessarily reflect the opinions of May Media Group LLC or the manufacturer of the product. 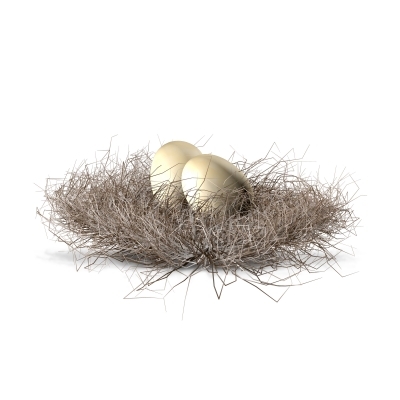 After spending two decades shopping for food, planning meals, cooking and thinking about everyone else’s dietary needs, you find yourself in an empty nest, and with an empty fridge and cupboard. Tamara hears it from her clients all the time. They are tapped out. Spent. There’s no energy left for even thinking about meals, let alone cooking them. Besides, what’s the point of preparing a big, elaborate meal for just one or two? The problem, of course, is that empty-nestdom arrives at a time in one’s life where nature is most unforgiving. Your metabolism has likely just taken a nosedive, meaning you can get away with far fewer dietary indiscretions without paying for them on the scale. Your bones need extra TLC if they’re going to last you through retirement—particularly if you’re taking a calcium-sapping acid reducing medication. And when you skimp on fiber rich veggies and probiotic-rich cultured dairy, things tend not to go so smoothly in the loo. In other words, Empty Nestdom is a particularly inopportune time to give up on nutrition. Fear not. Armed with some basic pantry and fridge staples, creativity and a reminder that taking care of yourself is more important now that ever—you can improve your diet quality tremendously without much effort at all. • Make cultured dairy your essential fridge staple: More than ever, you need the convenience, protein and the calcium that low-fat yogurt and kefir offer. These foods happily fit in at breakfast, for a snack, with lunch and even at dinner, and if you’ve got some on hand, a respectable meal is never too hard to conjure up. Yogurt stands on its own, or accessorizes other meals (add cucumbers and a bit of garlic, you’ve got Middle Eastern veggie dip; add Indian spices, you’ve got Tandoori marinade). Kefir (liquid yogurt) is the secret to perfect smoothies, fluffy pancakes and easy overnight oatmeal. Once you start keeping these kitchen multi-taskers on hand, your fridge will feel like an empty-nester without them. • If your intestines retired from their job of digesting dairy a long time ago, look for Green Valley Organics Lactose Free brand of yogurt and kefir. It’s organic, real cow’s milk dairy with the lactose pre-digested, making it an easy-to-tolerate source of essential calcium for your bones and live, active probiotic bacteria for your digestive health. It’s a far better option than non-dairy milks and yogurts made from almond milk, coconut milk or rice milk, as these latter options lack the protein you need to maintain lean body mass and feel satisfied after a meal. • Make lunch your main meal: To take the pressure off of dinner prep each night, consider lunch your main meal of the day. This especially makes sense if you’re working or otherwise out, as you may have more options available. Be sure to include a good portion of lean protein from fish, poultry, beans or tofu, paired with loads of veggies and a modest amount of slow-digesting carbs to keep you feeling satisfied through dinner. Save the entrée salads for dinner; they’re more likely to leave you feeling hungry a few hours later, which means you’re less able to control portions at night when most people get into trouble. A more substantial mid-day meal means you’ll be less hungry in the evening and more satisfied with a light supper. • Keep fancy condiments on hand: Fancy accessories like pesto, Dijon mustard, chipotle hot sauce and truffle oil can transform workaday pantry items like pasta, tuna, canned white beans, eggs and frozen veggies into appealing meals that take 10 minutes or less to assemble. Pasta tossed with (frozen) broccoli, white beans and pesto? A Mediterranean dieters dream. Tuna with plain yogurt, Dijon and a hit of hot sauce? Serve atop bagged salad greens, and you’ve got a respectable meal. An omelet drizzled with truffle oil and served aside (frozen) French green beans? Oooh la la! Dinner is served. • There’s no shame in breakfast for dinner: Veggie and lox omelets, whole grain pancakes, green smoothies…there’s no law saying a dinner plate needs to have a protein, starch and veg lined up side by side. Whole grain pancake mix spiked with canned pumpkin puree and topped with plain yogurt provides a low-glycemic carb, an orange veggie and a good serving of lean protein. A low-fat kefir smoothie with spinach, mango and banana delivers protein, a day’s worth of Vitamin A and complex carbs—a far better option than pizza delivery or greasy takeout! In other words, breakfast for dinner doesn’t have to mean standing over the sink and eating a bowl of cereal. “This Mediterranean Diet-style meal is loaded with flavor and dense with nutrients. Save prep time and effort, use bagged, pre-washed organic leaves and whole grape tomatoes,” says Registered Dietitian Tamara Duker Freuman, who specializes in medical nutrition therapy for digestive disorders. She is also a gluten free blogger for US NEWS & WORLD REPORT’S new health page eat + run and hosts a popular blog devoted to healthy eating and gluten-free living at www.tamaraduker.com. If you don’t feel like grilling outside (or the weather isn’t cooperating), this recipe is just as delicious when prepared using a countertop or stovetop grill. Or, sauté the chicken in a large, hot oiled skillet for about the same amount of time as the grilling instructions. Bake the pitas in a 425-degree oven (or toaster oven) until crisp and golden, about 8 minutes. 1. Mix yogurt, 3 tablespoons of the oil, lemon juice, 1 of the garlic cloves, oregano, and a generous sprinkling of salt and pepper in a medium bowl. Pour half the yogurt mixture in quart zipper-lock bag; add chicken and let stand at least 30 minutes and up to 2 hours. (Can be refrigerated for 2 days.) Reserve remaining yogurt mixture as the salad dressing. 2. When ready to serve, heat a gas grill igniting all burners on high for at least 10 minutes or build a hot charcoal fire. Clean grate with a wire brush and then lubricate well with an oil-soaked rag. Meanwhile, put arugula, tomatoes, cucumbers, onion, feta, and olives in a large bowl. Mix remaining 4 teaspoons of oil with remaining 2 garlic cloves and brush over one side of each pita. 3. Place chicken on hot oiled rack and grill until impressive grill marks form, about 3 minutes. Turn chicken over with a spatula and continue to cook until chicken is just cooked through, about 2 minutes longer. 4. Add pitas, oiled side up, the last 2 minutes of grilling. As chicken comes off the grill, turn pitas and continue to grill until golden brown on remaining side, another 1 to 2 minutes. 5. Place a pita on each of 4 pasta plates. 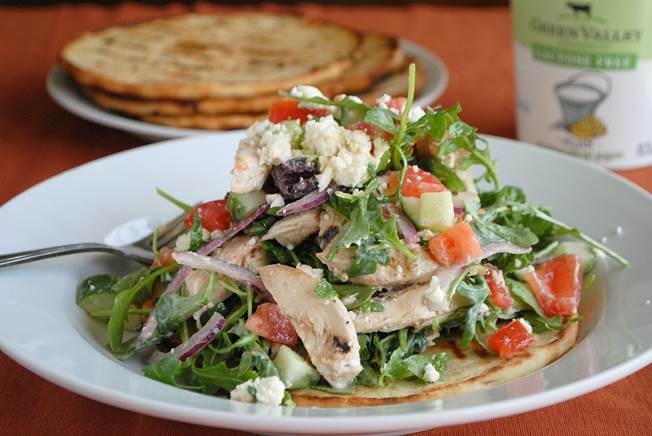 Toss salad with dressing, mounding a portion of salad on each of the pitas. Serve. 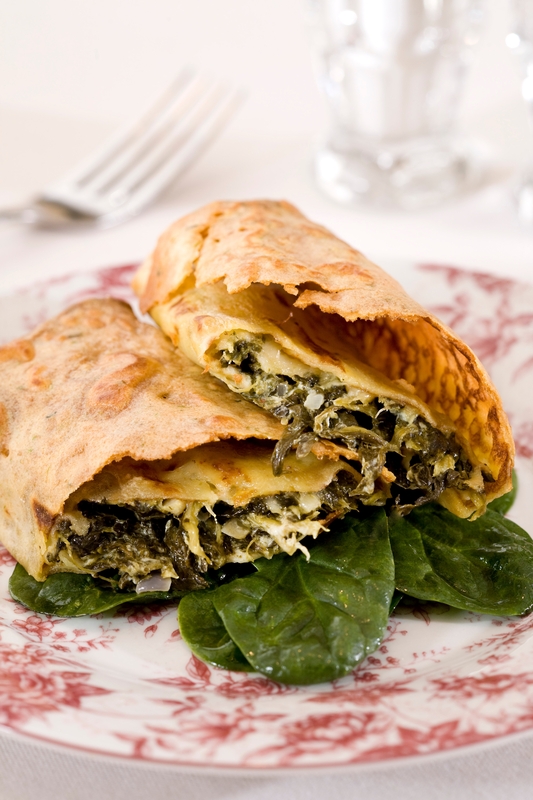 Courtesy of the Maine Stay Inn & Cottages in Kennebunkport, Maine comes this creamy & dreamy gluten-free recipe for spinach crepes! Combine all ingredients for crepes in a bowl and blend with a stick blender until no lumps remain. Ladle into a hot pan coated generously with spray oil. Swirl batter until a thin layer coats the bottom of the pan. When edges pull from sides of pan, use a flexible spatula to release and flip, cooking for just a few moments on the second side. Transfer to a plate. Meanwhile, melt butter and oil in a skillet. Add onion, garlic, pepper, mustard powder, and Italian blend and cook until onions are soft. Add frozen spinach and cook until soft. Reduce heat to low. Add remaining ingredients, except Gruyere and stir until all cheeses are melted. Remove from heat and let cool for a few minutes. Fill crepes with stuffing, making sure to sprinkle with Gruyere before rolling. Place in a baking dish sprayed with pan coating. Sprinkle with additional Gruyere if desired. Refrigerate overnight if necessary. Bake at 350 degrees for 20 minutes covered with aluminum foil. Remove foil and bake for an additional 5 minutes, or until filling is hot all the way through. Serve immediately! This nutritious Maqui Banana smoothie recipe from Superfood Smoothies by Julie Morris is indexed under Beauty Foods, due to Maqui’s high level of skin-healthy anthocyanins – the antioxidants that give it that deep purple color. Blend together all the ingredients until smooth. Taste, and sweeten if desired. Makes two 14-ounce servings. The mission of Navitas Naturals is to provide the finest organic superfoods that increase energy and enhance health. Since 2003, health-conscious people have been choosing their organic superfoods because they’re a diverse whole-food source of antioxidants, protein, essential fats, minerals, vitamins and other key nutrients. All of their products are certified organic and Non-GMO Project Verified, and use methods such as freeze-drying and low temperature processing to ensure maximum nutrition and flavor. Julie Morris is a Los Angeles-based natural food chef and author. She has worked in the natural food industry for close to a decade as a recipe developer, culinary writer, and cooking show host, and is a spokesperson and executive chef for Navitas Naturals, a fair trade company that specializes in 100% organic superfoods. Morris is an active advocate for whole, plant-based foods and superfoods for optimal health. Her mission is simple: to share recipes and nutrition tips that make a vibrantly healthy lifestyle both easy to achieve and simply delicious to follow. To learn more about Julie and superfoods visit juliemorris.net.